My kids love superheroes. Wait, that's not true. My daughter likes them, my son is obsessed with them. He was looking at a sheet of stickers yesterday and pointed to a picture of the superhero "Beast" and said look it's Hank McCoy (Beast's real name). 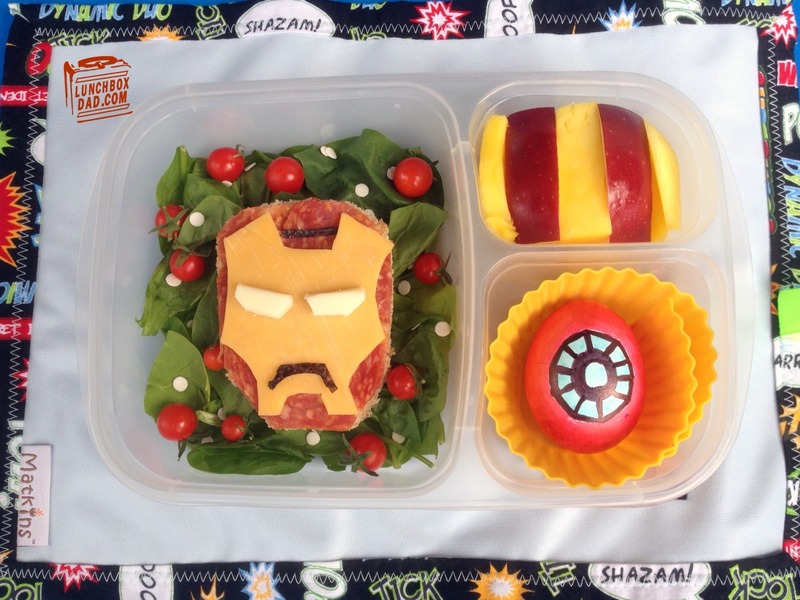 Since it is still summer where we are at, I decided to make him an Iron Man lunch today. I had put off making this for about a year because it seemed complicated but it was actually really simple. All the food in the main compartment can be combined to make a sandwich if your child chooses to. 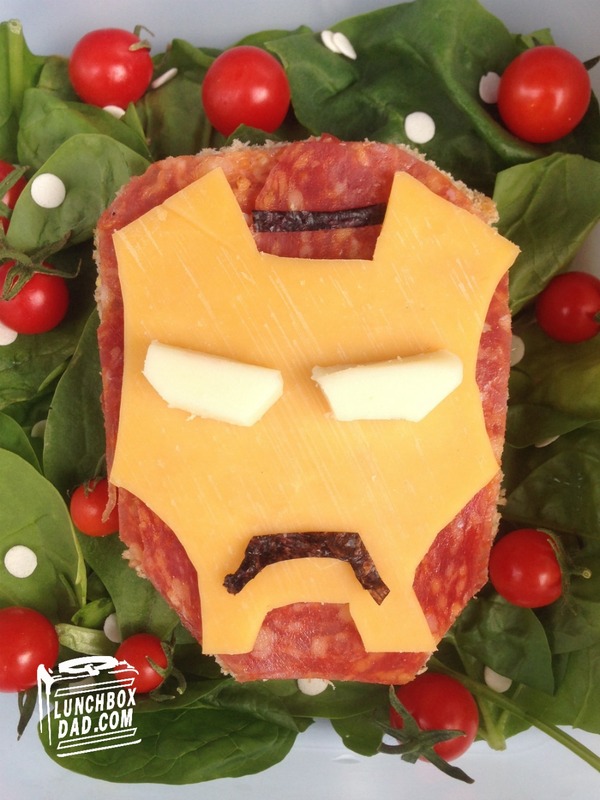 So if your kids are into superheroes, try this lunch, they will love it. 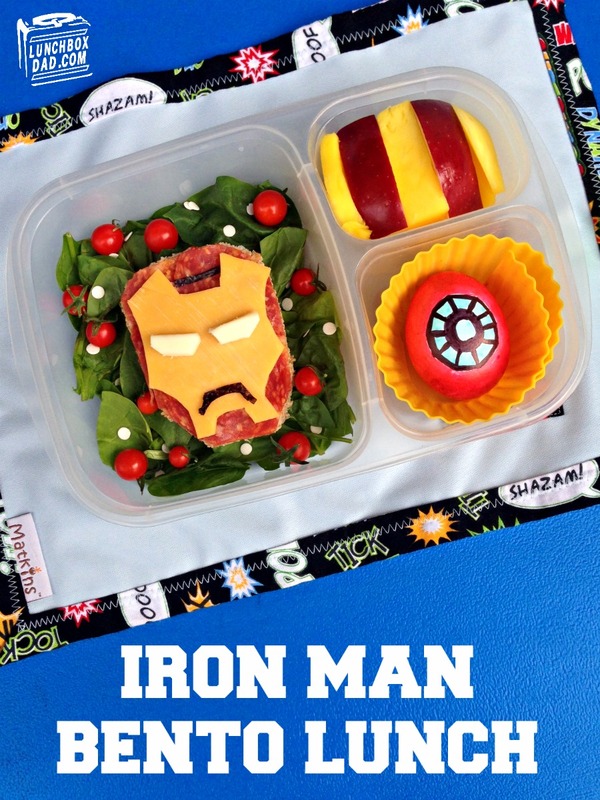 This was made in an Easy Lunch Boxes container and the Matkins superhero placemat went perfect with this lunch. I hope you have a great last bit of your summer or beginning of school year. Remember to follow me on all my social media channels which can be found in the upper right hand part of the sidebar. 1. Cut bread slice in the shape of Iron Man's head. It is a very simple shape. Lay lunch meat on top and trim to shape of head. 2. Slice cheddar cheese in shape of mask as shown. Cut nori and white cheese in shape of facial features. Place sandwich pieces together. 3. In main compartment arrange spinach, tomatoes, and Iron Man sandwich. Optionally you can use white sprinkles for decoration. 4. In one side dish alternate apples and mango. These should look like Iron Man's colors. 5. 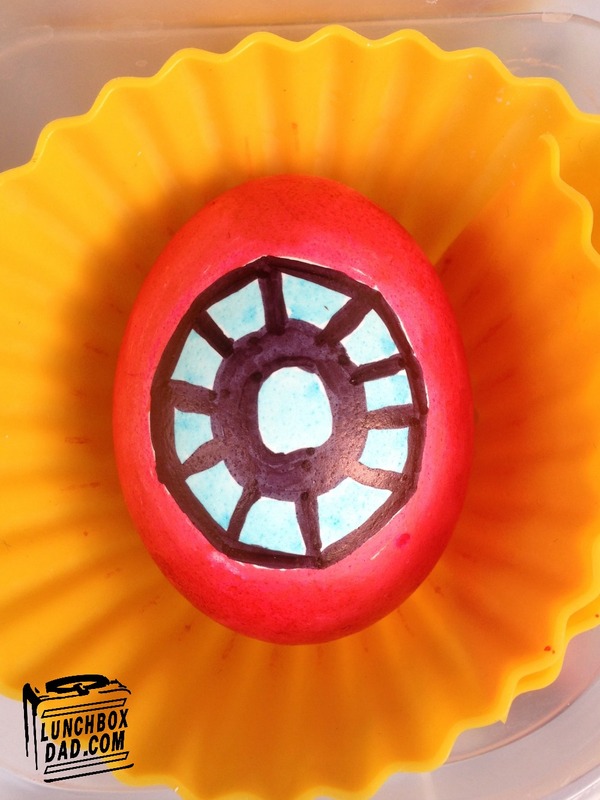 Use markers to draw on hard boiled egg. The design is supposed to look like the power source that powers the suit. You can use food color markers or other non toxic markers that you may have. You are only coloring on the egg shell. Start with the black "spiderweb" design. Then fill in the gaps with blue marker. If you have time and patience you can color the rest of the egg red. If not, no big deal. 6. The Matkins placemat is a fun addition to this lunch if you want an extra piece of flair. Other than that, have a good time making this lunch for your kids! Ill try and work that in, but we definitely have to work in one of your super lunch notes also! Fun and Fruity Oatmeal Breakfast Parfait!